Today I want to share another one of my favourite sites with you. 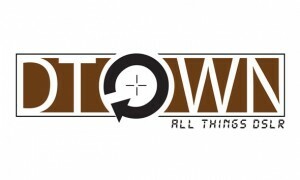 This one is called D-Town TV and it is another Kelby Media Group site that covers photography and equipment. Now this site use to be a Nikon only site, but since a couple of season ago they have added Canon to the list of equipment as well as a lot of lighting stuff too. They are currently on their 38th episode and have covered an extensive amount of equipment and shooting scenarios. If you are trying to learn what a button/feature does on your camera or are wondering why your images are not sharp as you would like them to be. This site will help you out. The podcast covers levels from beginner to advanced and everything from sports to wildlife photography. You will find reviews on lens types and learn different alternatives for different shooting situations and it is presented in a fashion that includes camera menu screen shoots and photo examples for what different setting do in comparison. Hosted by Scott Kelby and Matt Kloskowski with a slew of guest host and feature segments like Cheap Shoots hosted by Larry Becker. This segment covers less expensive ways to obtain or achieve results that more expensive equipment might take. Basically a resourceful way to save some money if you are a hobby photographer. One thing you don’t have to expect from this site is it is not for any particular lever of photography. A pro could learn a few things from this sight and a beginner could benefit by getting the true about something that are out on the market that may look tempting to buy. Well that is all I can say about D-Town TV so to find out more go watch a few episodes and find out for yourself.